Together with his partner, Dirk purchased a 350-year-old watermill. For both of them, the renovation of the mill is a lifelong project that they enjoy working on. Craft work, carrying materials or climbing stairs – this extensive project requires a great deal of movement. But Dirk suffered damage to his meniscus after a fall, which then developed into osteoarthritis in his knee. He was only able to continue all the work on the mill with a lot of pain. 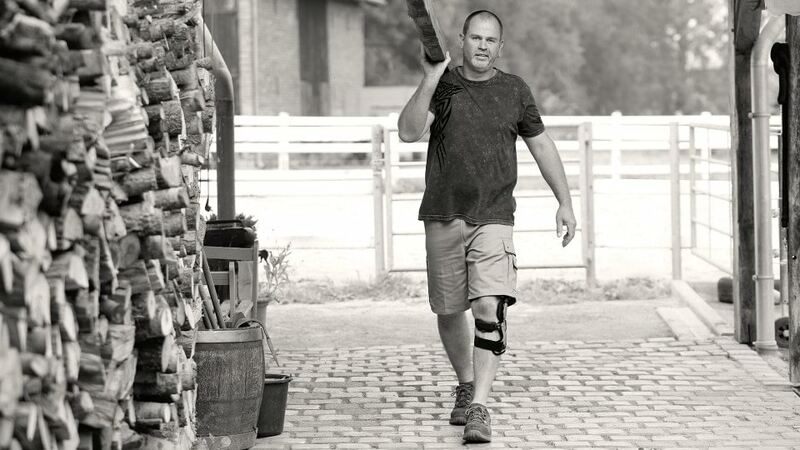 Only with the Agilium Reactive knee brace did he begin to experience relief: “Thanks to the brace, I can still do my work. It is very lightweight, comfortable to wear and works precisely where it’s supposed to,” Dirk says with confidence. Dirk and his partner are well on their way towards giving themselves and their pets a beautiful new home.